If you have ever had plumbing issues and have had your yard torn up because of it, you know that the traditional method of drain replacement can be rather messy. Not only is it messy and can it tear up your landscape, but this method also take far more time, which means increased man-hours. Fortunately, there are better ways to repair your sewer system that does not require you to dig trenches. We have a few ways to show you that when it comes to traditional drain replacement vs trenchless method, the trenchless method wins every time. Your landscaping may be expensive and beautiful, but did you know that you might have sewer lines running right underneath it? After the sewer lines are fixed, the traditional method could still cost you thousands of dollars. However, trenchless drain replacement is going to mean that you only need one or two small holes to reach the sewer lines. This is usually at the beginning and exit of the pipes. That is going to reduce the damage done to your landscaping drastically. It makes sense that if you do not have to dig an entire trench, the work can be completed much faster. Having a repair crew in front of your home or your business for days (even weeks) is not something that anyone wants. The newer methods can be finished in a few days, and for smaller repairs, it may even be faster than that. If the work were less labor-intensive, it would make sense that the customer pays less right? That is how we treat the work at Dr. Pipe. So if we are not required to dig trenches (meaning that sewer repairs and replacements are much faster) the reduction of time spent on the job means that you save money. You get the same quality replacement without having to pay as much. One of the most important differences between traditional drain replacement vs trenchless method is the fact that full replacements may use seamless Polyethylene piping and repairs use cure-in-place liners. This new technology uses joint-free piping. The use of this technology prevents offset pipes, cracks, and tree root invasions. 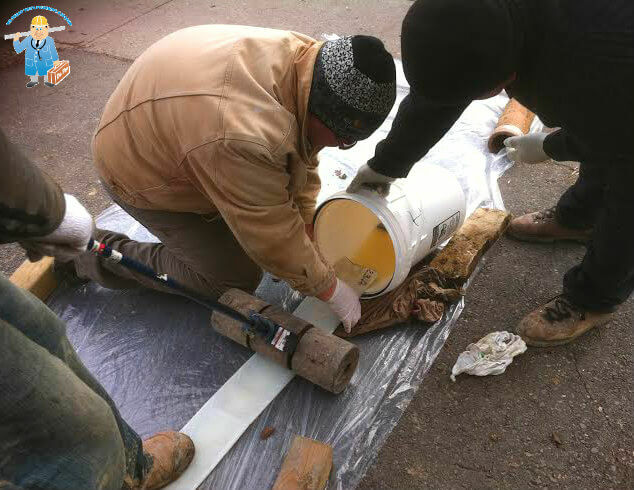 Make sure that you use a company that uses trenchless pipe repair and replacement for sewer repairs and replacement. A qualified plumbing company like Dr. Pipe Drain and Plumbing will be able to make sure that the job is done right the first time around.